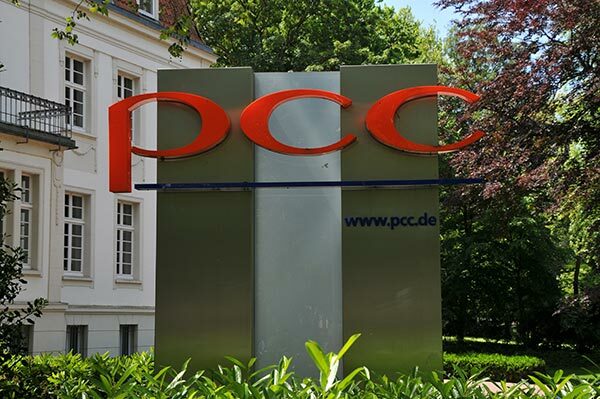 PCC Specialties, headquartered in Kamp-Lintfort, is a 100% subsidiary of the PCC SE holding company (www.pcc.eu) which is active in the chemical, energy and logistics sectors. Our core competences are in specialty chemicals used in the manufacture of paints & coatings, adhesives, lubricants and for polyurethane systems worldwide. PCC Specialties GmbH is geared to sustainable growth. Our management and employees strive continuously to find solutions using new technologies. Their initiative, dynamism and joint commitment are focused on improving customer satisfaction and creating value together. Credibility and reliability are our key principles. Our business is characterized by customer-focus and a keen sense of responsibility as well as of cost-effectiveness. We consider that these principles are the basis for successfully positioning PCC Specialties GmbH in the increasingly globalized and ever faster changing markets. Our ambition is to be a leading specialty chemicals company in more and more growth segments especially paints & coatings, adhesives, lubricants and polyurethane systems. Our business aims for the highest standards of conduct in accordance with the fundamental values set out below which apply to the entire PCC Group. The corporate leitmotif of PCC Specialties GmbH – as much central management as required, as much entrepreneurial freedom as possible – is reflected in its corporate structure and culture. PCC Specialties GmbH consists of four business units which are separately managed and operate as independent profit centers. Dr. Uwe Zakrzewski (54) has been managing director of PCC Specialties GmbH since its foundation. Before the start-up was formed, he advised PCC SE, the Holding Company of the PCC Group, for several years contributing his extensive experience in the specialty chemicals sector. PCC Specialties GmbH is consolidated in the financial reports of the PCC SE Holding Company which are available at www.pcc.eu/about-pcc/financial-information.